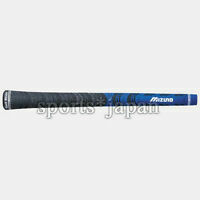 globalgolf has no other items for sale. $1.99 shipping for each additional eligible item you buy from globalgolf, when you use the cart to make your purchase. Sales tax may apply when shipping to: AL(8.36%), CA(8.26%), CO*(6.47%), CT*(6.35%), DC*(5.75%), GA*(7.33%), HI*(4.24%), IL*(7.5%), IN*(7.0%), IA*, KY*(6.0%), LA(9.58%), ME(5.5%), MD(6.0%), MA(6.25%), MI*(6.0%), MN*, MS*(7.02%), NE*(5.86%), NV(7.78%), NJ*(6.63%), NY*(8.19%), NC*(6.75%), ND*(5.51%), OH*(7.1%), OK(7.86%), PA*(6.1%), RI*(7.0%), TN*(9.5%), UT(6.85%), VT*(6.04%), VA(5.3%), WA*, WV*(6.1%), WI*(5.46%), WY(5.29%). After you have won the auction, or after the Buy It Now, please go through eBay Checkout. Shipping discounts for multiple items will be applied as long as you do not complete checkout prior to adding additional items.